March for Life 2016, like many pro life groups, seems to embrace faux science, even in the face of repetitive fraternal corrections, says Prof. Dianne Irving, in her recent piece discussing the matter. It is not a matter of not knowing, but rather choosing to embrace outdated or ill informed statements that have no bearing in scientific data. One such phrase that drives ESH up a wall is “from conception to natural death”, often quoted by religious and pro-life sources, which is prima faciae a gross scientific untruth. Such a phrase rules out defending the right to life of babies conceived by artificial means (e.g. IVF, ART, et alia) and natural means (e.g. twinning in the womb of identical twins). Read Irving’s well elucidated truth in the link above and…PLEASE…stop using faux science and calling it pro life. This entry was posted in Abortifacients, Abortoholics, Catholic, Contraception, Culture, freemasons, Klan Barrenhood, Klan Parenthood, leftists/communists/marxists, Medicine, Modernism, Obamacare, Odd News, Pharmacist, Pharmacy, Politics, Pro-family, Pro-Life, Regime, science, War on Womyn. The former Planned Parenthood abortion facility where Abby Johnson once worked as director is now a pro-life haven for women in crisis pregnancy. The facility is now aptly named, “Hope.” It celebrated its grand opening earlier this month. Read more about it here….way to go to all the TX prolifers making this happen! This entry was posted in Abortifacients, Abortoholics, Contraception, Culture, Democracy, freemasons, Klan Barrenhood, Klan Parenthood, Medicine, Obamacare, Pro-family, Pro-Life, Regime. Here’s a great money report on how fund sent to Klan Barrenhood, over $500 million of it in taxpayer money, ends up supporting abortohilic Dems or opposing pro-life Republicans. According to publicly available federal campaign donation records, every single Senator who voted not to defund Planned Parenthood, except one, has been awarded money from the abortion giant. In order to fund nearly every Democrat in the U.S. Senate who voted against defunding Planned Parenthood, the Planned Parenthood Action Fund (PPA) and Planned Parenthood Votes (PPV), have spent $1,609,498. Roughly 2/3 of this money was spent in 2012 alone. This entry was posted in Abortifacients, Abortoholics, Catholic, Contraception, Culture, Democracy, freemasons, History, Hypocrites, Klan Barrenhood, Klan Parenthood, leftists/communists/marxists, Obamacare, Odd News, Politics, Pro-family, Pro-Life, Regime and tagged Planned Parenthood Action Fund, Planned Parenthood sells baby parts money laundering Democrat DNC pro choice. Video 7: more intact part$ mean$ more $$$; contact Janko Kasich today! “The Center for Medical Progress has released its seventh video, entitled Human Capital – Episode 3: Planned Parenthood’s Custom Abortions for a Superior Product. Featured is a former StemExpress procurement technician describing abortion of intact babies bodies, then dissected for sale and distribution for research. And tell Croatian Janko Kasich, a fallen away Catholic, to put up or shut up saying he’s pro-life and quoting Matthew 25 when it suits his politics. 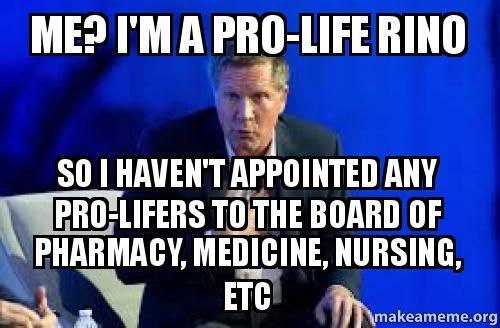 Please remind him he should appoint pro-life people to the state boards of pharmacy, medicine, nursing, etc, as these boards that he appoints are already loaded with people supporting the contraceptive/abortion mentality. We need equal time. And also ask Janko to stop blocking passage and signing of the Heartbeat Bill while he’s at it. This entry was posted in Abortifacients, Abortoholics, Catholic, Contraception, Culture, Democracy, freemasons, History, Hypocrites, Klan Barrenhood, Klan Parenthood, leftists/communists/marxists, Medicine, Obamacare, Odd News, Pharmacist, Pharmacy, Politics, Pro-family, Pro-Life and tagged Janko Kasich, Kasich PP videos baby body parts, Planned Parenthood. You work hard for your zlotys. It takes prudence and discernment when and how much to contribute to your fave charities. So, do the same when you donate to any of the usual fall campaigns, especially those promoted or pushed by your employer. This time of year, it’s United Way for many corporations and the Combined Federal Campaign for governmental employees. 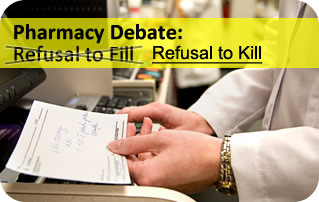 You can do the alternate and ask that any donation be given 100% to PFLI, a total protection 100% pro-life group of devoted pharmacists, technicians and lay people who operate as all volunteers on a shoestring budget. Contact PFLI for more info. “This week the U.S. Senate failed our nation, failed our children and families and made an embarrassment out of a government that is sworn to protect the right to life. They failed to defund Planned Parenthood. In fact, 40 Senators voted to keep sending over half a billion dollars to Planned Parenthood, who has been caught on video haggling over the price of baby body parts and talking about how to skirt the law that bans the selling of these baby body parts. You may be asking yourself, what can I do? Or you may have participated in one of the 65+ #WomenBetrayed rallies last week and want to do more to defund Planned Parenthood. Planned Parenthood gets close to 46% of its total revenue from the government (aka taxpayers) and we are working hard to stop that money from ever going into Planned Parenthood’s bank account again. But did you know that Planned Parenthood gets a quarter of its revenue from corporations and other organizations? One specific organization – United Way – sends almost $2 million every year to Planned Parenthood through 67 of their affiliates. They say that the money goes towards education inside of Planned Parenthood. Oh really? You can’t just donate to Planned Parenthood and say your donation is earmarked for utilities or staff or paper clips but not abortion. The building and the staff and the utilities all contribute in some way to abortion and are involved it. Any money whatsoever going to Planned Parenthood in any way contributes to the more than 327,000 abortions they commit every year and the harvesting and selling of the body parts of aborted babies. Students for Life of America and LifeSiteNews have partnered together to launch Boycott United Way in efforts to put pressure on the organization to stop funding Planned Parenthood all together. You can send an email directly to the president of United Way at www.boycottunitedway.org and ask him to stop funding Planned Parenthood right now. Two million dollars is a lot of money. We have to stop every cent from going to Planned Parenthood. They are the nation’s abortion giant, doing one of every three abortions – and selling who knows how many baby body parts. At www.boycottUnitedWay.org, you can also contact each individual United Way affiliate and demand they stop sending money to Planned Parenthood. United Way does a lot of good but Planned Parenthood was caught selling the body parts of aborted babies for profit. These are the most vulnerable in our society. If we allow for this kind of atrocity, what does that say about the state of this country, about the state of our souls as human beings that we would allow a baby to be aborted and sold piece by piece? Go to www.boycottUnitedWay.org now and send a letter to the president of United Way demanding they stop funding Planned Parenthood now. This entry was posted in Abortifacients, Abortoholics, Catholic, Contraception, Culture, Democracy, freemasons, History, Hypocrites, Klan Barrenhood, Klan Parenthood, leftists/communists/marxists, Medicine, Obamacare, Odd News, Politics, Pro-family, Pro-Life, Regime and tagged Klan Barrenhood Planned Parenthood, United Way Combined Federal Campaign. Think the soulless ghouls at #KlanBarrenhood are a new phenomenon? No, they antedate Kermit Gosnell. 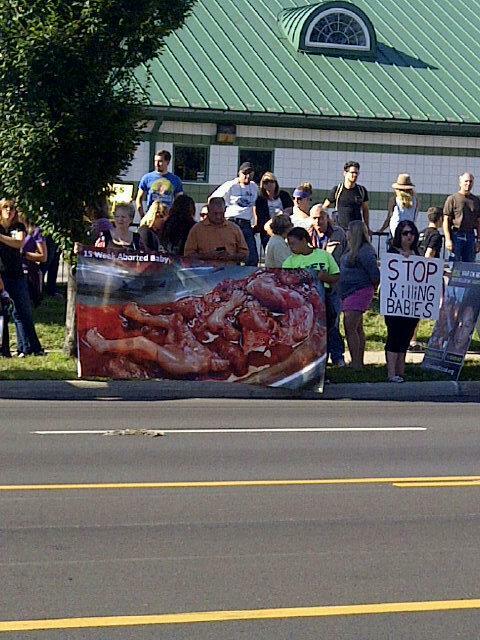 ESH has been reporting on the merchants of baby body parts for 30+ years. Case in point, here’s a 2012 story on Korea seizing “aphrodisiac” pills made in China by the commie government out of minced aborted baby body parts. These monsters need to be #prosecuted and #jailed. Read it here…. This entry was posted in Abortifacients, Abortoholics, Catholic, Contraception, Culture, Democracy, freemasons, History, Hypocrites, Klan Parenthood, leftists/communists/marxists, Medicine, Obamacare, Odd News, Politics, Pro-family, Pro-Life and tagged aborted baby body parts Planned Parenthood selling tissue. It’s a sick, sick world in the land of soulless ghouls involved in Abortoholism, where they violate multiple laws, rip babies from their mothers’ wombs and sell the body parts like chattel. There’s hue and outcry over Cecil the Lion, who’s fatherless cub was killed now by a rival male lion. But none for the millions of babies shred and sold like a slave at the market. The dripping hypocrisy of the left is telling and will leave many to be judged and judged harshly by the Pantocrator in due time. ESH strongly encourages all readers to join enmasse to #DefundKlanBarrenhood. #PPSellsBabyParts. The big national rally protest against #KlanBarrenhood will be Saturday, August 22. People will be participating in over 180 cities. Do try to join in your locale. For more info, see here…. This entry was posted in Abortifacients, Abortoholics, Catholic, Contraception, Culture, Democracy, freemasons, History, Hypocrites, Klan Parenthood, leftists/communists/marxists, Medicine, Obamacare, Odd News, Pharmacist, Pharmacy, Politics, Pro-family, Pro-Life, Regime, Sodomites and tagged baby parts Planned Parenthood Klan Barrenhood Defund natuional protest August 22.